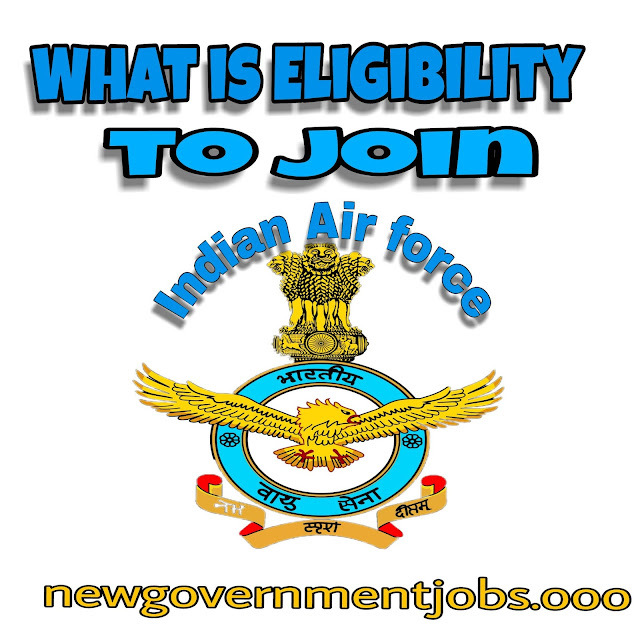 Home Indian Air force Who can join Indian Air Force Recruitment Rally? Who can join Indian Air Force Recruitment Rally? Indian Air Force Recruitment Rally is one of the recruitment procedures to be held at different locations of the country in various military forces. Recruitment rally is a good opportunity for such candidates who want to join the prestigious Indian Air Force. Indian Air Force invites unmarried male candidates to the IAF recruitment rally, which continues throughout the year at different places throughout the country. These rallies are organized for recruitment in technical (X-Group) and non-technical (Y-Group). Not all candidates get the chance to join the recruitment rallies. The eligibility criterion for the recruitment rally is that it is necessary to complete all candidates who are interested in the application. Eligibility Criteria for Indian Air Force Recruitment Rally includes academic qualifications, physical criteria and visual standard- HEIGHT, leg-length (Group-X) on the basis of which it is decided on whether the interested candidate deserves the post or not. X-Group Trade - Intermediate with Mathematics with minimum 50% marks / 10 + 2 or equivalent or three year diploma in engineering. Group Y (Med Assistant Trade) - 10 + 2 with Physics, Chemistry, Biology and English subjects with minimum 50% marks from a recognized University / Board. Group Y (Musician Trade) - Expert in any one of the following instruments from a recognized board - trumpet / bass / violin / saxophone / clarinet / usphonium / jazz-drum / piccolo / brass trombone / ki board / guitar / sarod / Viola / Shello / Cantra bass (string bass). There are fixed educational qualifications, age limit and physical criteria for each post to be appointed by the Indian Air Force Recruitment Rally. There are definite categories in Group-X and Group-Y. Age limit is 17-28 years (in accordance with the post) and Group-Y- 17-25 years (varying by post) and maximum age limit for 21 years for all posts in Group X Trade. Candidates should be physically and mentally fit for the post of Airmen so that they can do their duty in any part of the world. Weights should be consistent with age and age, chest inflow of 5 cm, normal hearing, teeth and gums should be healthy and the number of teeth should be at least 14. Candidates should not have any kind of communicable disease and skin disease and the ability to see should be normal. In the Indian Air Force Recruitment Rally, there is a set / scheduled recruitment rally in the selection process. Airman Selection Committee invites applications from candidates from all over the country for the post of Airman through the prescribed test. The sequence of exams is written test, adaptability test I and II, medical and physical fitness exams. Indian Air Force recruitment rallies vary according to the posts for the posts that are filled through the rally. In addition to the pay scale, many types of allowances such as transport, composite personal maintenance, leave, ration, education of children, etc. are given to airmen. All such candidates, who wish to serve the country of high reputation, can participate in the schedule of the recruitment rally given on the official website of Indian Air Force.